While Microsoft’s Surface Studio may have started shipping to U.S. customers, Canadian consumers will have to wait into 2017 to get their hands on Redmond’s latest Windows PC. 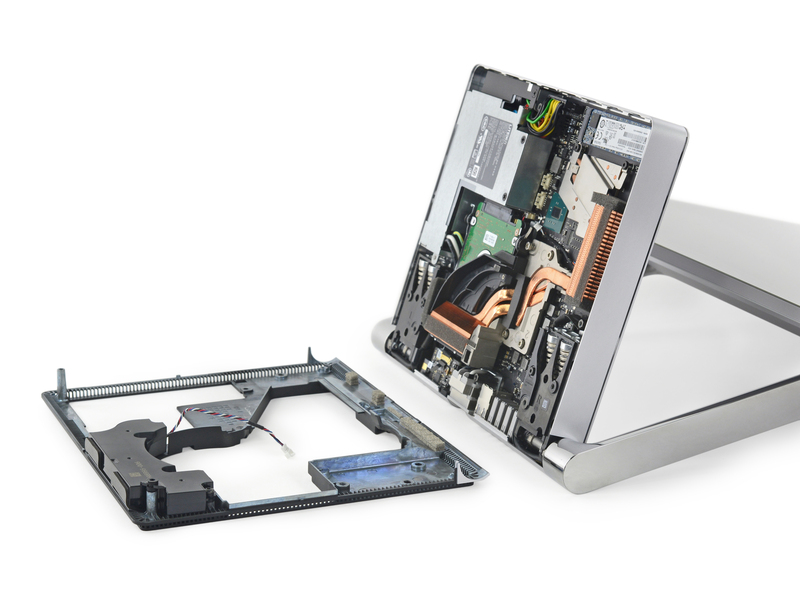 In the meantime, if Surface Studio is something that interests you, iFixit’s latest teardown takes a look inside the machine. First, the bad news: like with Apple’s new Touch Bar MacBook Pro, Surface Studio’s main components are almost impossible to replace or upgrade. The CPU, GPU and RAM are all soldered to the computer’s main motherboard. Now for the good news: Surface Studio features one M.2 solid state drive and a larger SATA hard drive, both of which users can easily access and replace with off the shelf components, allowing them to upgrade their storage in the future. For Canadians consumers, the main takeaway here is to consider how much RAM they need carefully. While the models with 16GB and 32GB of RAM are more expensive, short of buying an entirely new computer, there’s no easy way to upgrade to add RAM after buying one of these machines. Worst case scenario here is that someone spends $3000 to buy a Surface Studio and starts to feel their computer is inadequate after only one to two years. After completing its teardown, iFixit awarded Microsoft’s newest computer a five out of 10 repairability score.